Laid down, 5 February 1944, at Bethlehem Steel Co., Quincy, MA. 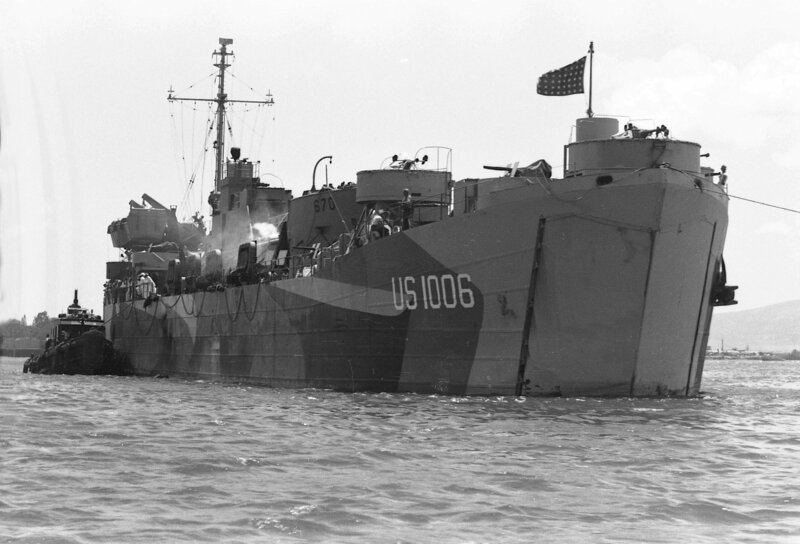 340k USS LST-1006 with LCT(6)-670 on her main deck. at Pearl Harbor in the summer of 1944. YTL-340 is alongside.